Depend on our Myths of the World: Stolen Spring Walkthrough to guide your steps as you make your way through a land afflicted by an endless winter. When the bitter cold begins to set in, and you're lost beyond all hope, look to our custom marked screenshots, our detailed instructions and simple puzzle solutions to help you ward of the chill and bring the warmth of Spring back into the world. 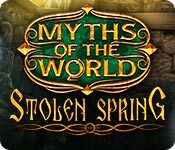 Myths of the World: Stolen Spring is the second game in the Myths of the World series, and another extremely well done hidden object adventure game. This time, we're headed to the cold north of Europe, to explore a Slavic-themed myth, where Vesna, the Goddess of Spring, has been captured by the evil Morana, the Goddess of Winter in an attempt to create an endless winter wonderland for her and her minions. With help from your ridiculously adorable ermine friend and a handy dandy Brush of Spring that melts magic ice in a flash, you set off on your quest to stop Morana, free Vesna, and usher in the return of Spring. Sound like fun? You bet it is! And to make sure the fun continues until the very end of the game, we've just posted a Myths of the World: Stolen Spring Walkthrough! Our Myths of the World: Stolen Spring Walkthrough is the perfect companion as you set off on this amazing adventure. We've made sure to pack in everything you'll need to end Morana's reign of winter, including custom marked screenshots with all key item locations clearly circled, step-by-step instructions from start to finish, and finally, easy puzzle solutions to get you through all the mini-games you'll encounter. So don't worry about getting lost or stuck on this adventure! 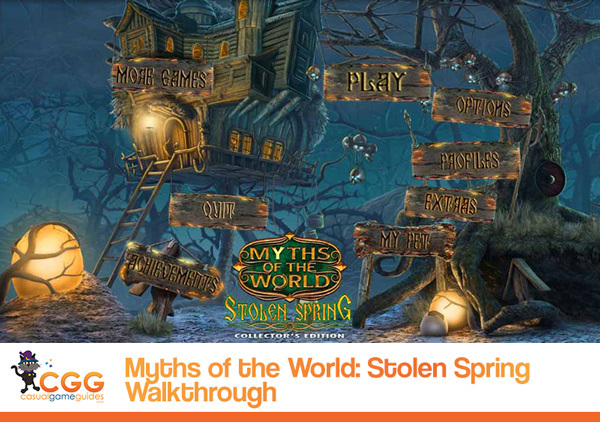 Our Myths of the World: Stolen Spring Walkthrough will be ready and waiting to offer assistance anytime you need it. Enjoy!